I coined this phrase to illustrate a certain cause and effect. (godeau in french, used by Samuel Becket to describe a certain Frenchman (maybe inspired by a cyclist, called monsieur godeau which Samuel anglicized to godot). 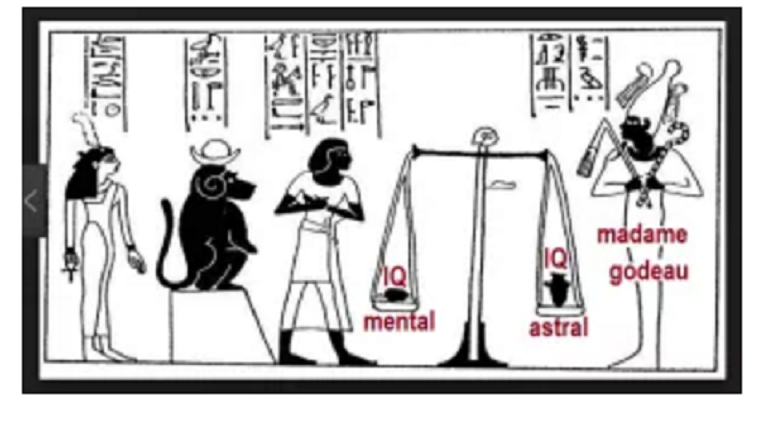 to build our mental IQ too fast and out of balance with our astral IQ is not to be recommended. The temptation to misuse our knowledge is overwhelming in this case, leading us to manipulate and exploit others at their expense. rather, it’s more prudent to work on both IQ’s in parallel , so as to keep them in balance as best we can. The built-in safeguard is the “godeau effect” : a built-in delay mechanism or interval after we have some mental illumination. It’s as if – there’s a block to protect us from going too far out of balance. we are nudged to take a break from that mental line of enquiry and rather work on increasing our astral IQ to a point where it will be safe for us to be unblocked and triggered again into achieving the next increment of illumination. Of course just because we are triggered to pay attention to some line of mental inquiry is no guarantee that we should progress, but it sure gives us a great opportunity to do so.